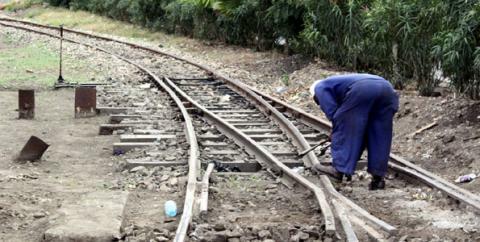 The unionized workers of the Tanzania Zambia Railway Authority (TAZARA) in the Tanzanian Region (all stations between Dar es Salaam and Tunduma) and some in the Zambian Region (at Kasama station only) have illegally withdrawn their labour, demanding their unpaid salaries for February, in some cases, and for March and April 2014, in all cases. As a consequence of the on-going illegal strike, which started on Monday 12 May 2014, TAZARA regrets to announce the suspension of both freight and passenger operations between Dar es Salaam and Tunduma, until further notice. However, normal operations will continue between Nakonde and New Kapiri-Mposhi on the Zambian side, which means the passenger train for Tuesday 13th May 2014 will run from New Kapiri-Mposhi, terminate at Nakonde and return to new Kapiri-Mposhi on Wednesday 14th May 2014. The management of TAZARA takes this opportunity to inform the public that all efforts are being made to resolve the situation and ensure that normal operations resume as quickly as possible. Previous article Video reveals Vedanta boss, and 69% owner Anil Agarwal’s $500 million a year profit at KCM!